Celebrate Unicorn Day (yes it's a thing) at Slots Capital Casino with a 200% match bonus! Redeem the coupon code UNICORN200 before your next deposit of $35 or more to claim your 200% match bonus to play the hottest online slots including the Silver Unicorn slot. 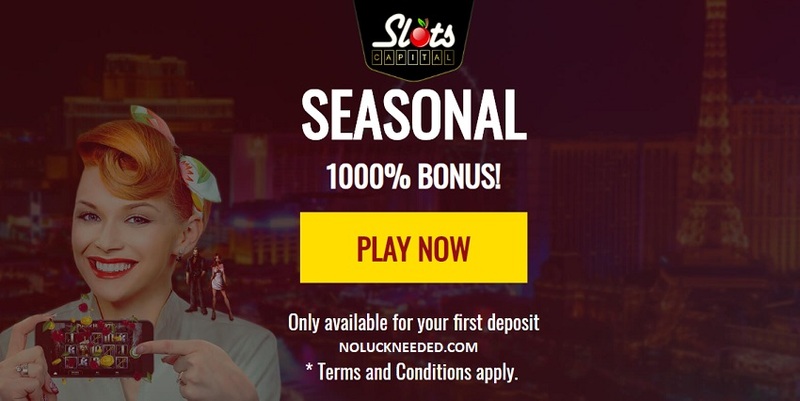 New players will also receive an instant $10 free chip, no deposit required sign up bonus after creating an account via NoLuckNeeded.com. Good luck! Available only until 16th of April 2019; Terms and conditions apply. Minimum deposit is $35. 35 times rollover attached to the bonus. Playable on Slots, Scratch Cards and Keno.